<a href="http://www.writeawaypr viagra ordonnance en pharmacie.com/wp-content/uploads/2014/04/pride2014.jpg”> April 15, SACRAMENTO—The 2014 Sacramento Pride Festival and Parade on Saturday, June 14—the 30th year for the Sacramento LGBT community’s annual Pride celebration—will be bigger and better than ever, expanding the festival’s size by a full block, stretching from 3rd Street to 7th Street on Capital Mall. Some 15,000 visitors from Sacramento and Northern California are expected to attend the day-long event, which is produced by and for the Sacramento LGBT Community Center, a non-profit organization providing programs and services for LGBT youth and adults. 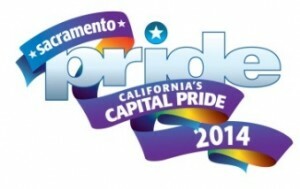 The Sacramento Pride Festival, from 11 a.m. to 5 p.m., June 14, will feature hundreds of business and non-profit exhibitors and attractions, including live entertainment on two stages, a dance tent hosted by local DJs, a family-friendly kids’ zone, animal adoptions sponsored by Subaru and Front Street Animal Shelter, and food trucks. Event sponsors include long-time Pride beverage sponsor Budweiser, Wells Fargo, Cares Community Health, HP, Barefoot Wine and Bubbly and Regional Transit. Tickets are $10 per person, free for children age 5 and under, sold online in advance or at the gate. To purchase tickets or for more information about Sacramento Pride Festival and Parade, visit http://sacramentopride.org. Information and application for festival exhibitors is available online http://sacramentopride.org/exhibitors.shtml. Information and application for Sacramento Pride sponsorship is available online at http://sacramentopride.org/sponsors.shtml. The Sacramento Pride Parade, 11 a.m. on June 14, will feature marching contingents, musical groups, and floats representing area businesses, government agencies and community organizations. A Community Grand Marshal (http://tinyurl.com/grandmarshalvote) will be selected from public nominations. The parade will travel from 3rd and N streets to 10th and N streets. To register for the Pride Parade, visit http://sacramentopride.org/parade.shtml. Parade entry cost is $50; non-profits $25. Parade application deadline is 5 p.m., May 23. Sacramento Pride is the primary source of funding for the programs and services of the Sacramento LGBT Community Center (www.saccenter.org), a 501(c)(3) non-profit organization. The Center provides services for LGBT and questioning youth, a free weekly legal clinic, transgender support services, programs for HIV+ men, discussion groups and activities for gay and lesbian adults, and much more.